How can I remove my Shopify page title? This guide will explain how to remove the title from your Shopify page. Many Shopify themes automatically display the page's title at the top of the content. While this title is usually hard-coded into the theme's default page template, removing it with Shogun is very simple. First, click the three-dot Settings button in the top-right corner of the editor and select the Page Settings option. 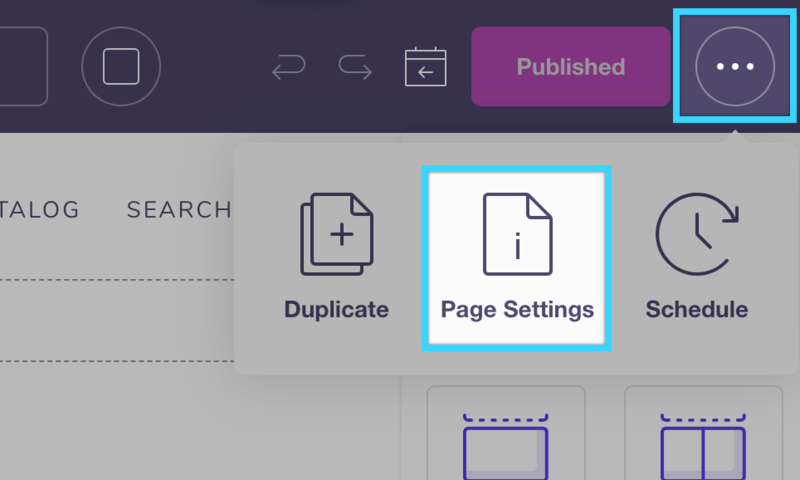 Scroll down in the Page Settings panel until you reach the Page Layout menu. Select the page.shogun.default option, then save your changes. 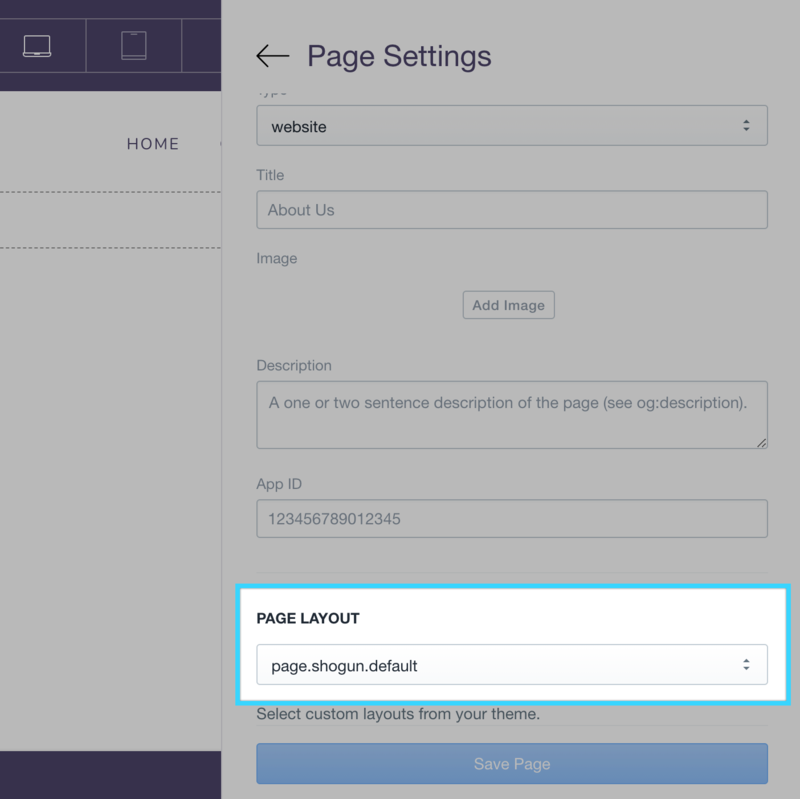 The page.shogun.default option is a custom full-width theme template that removes the built-in title from the page. Note: It may be necessary to refresh the editor after saving the change to display the newly-selected template in the editor.